Our 30 ft in diameter, large event tent, TipiMarqui™ can be conjoined to create an even larger space suitable for dining, receptions or dancing. Looking for a wedding or event tent rental that is like no other? Our TipiMarquis are made entirely of canvas and handsome wood beams –you will not find any plastic on these fine tents. Our marquee rentals have adjustable sides that can go up or down to fit the weather. In addition, the white canvas is a light and bright neutral backdrop, just waiting to be adorned in any style. Use lighting to create a glow from within or enjoy the sunlight that naturally lights this large event tent. As our most popular wedding tent rental, the TipiMarqui™ has been styled with rustic western, classic New England, black and white sleek modern, and vintage designs –to name a few. The possibilities for our marquee rentals are as limitless as your imagination! Finally, are you looking for a wedding tent rental that can serve as a complete venue for all stages of your outdoor event? The combination of tipi marquee rentals and our accommodation safari tents or tipis will allow you to host your guests on site or create smaller lounge or staging areas. 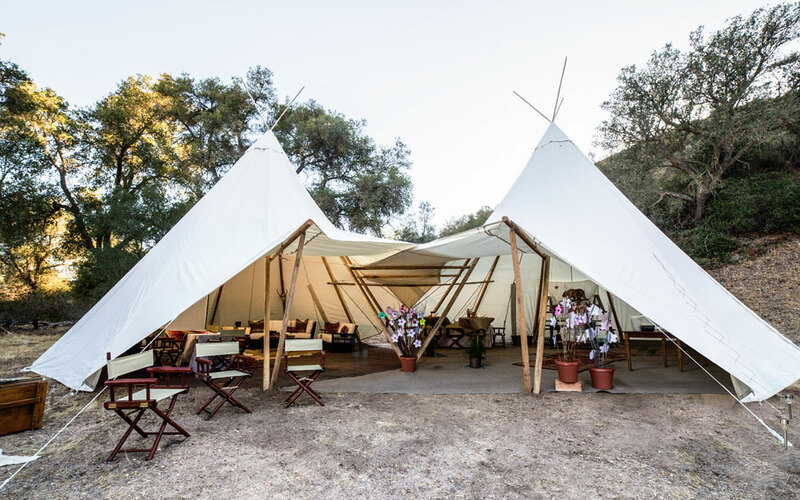 We are proud to be the exclusive vendor of Tipi marquee rentals in North America –and our luxury tents will travel to any venue in North America (or host at one of our own). 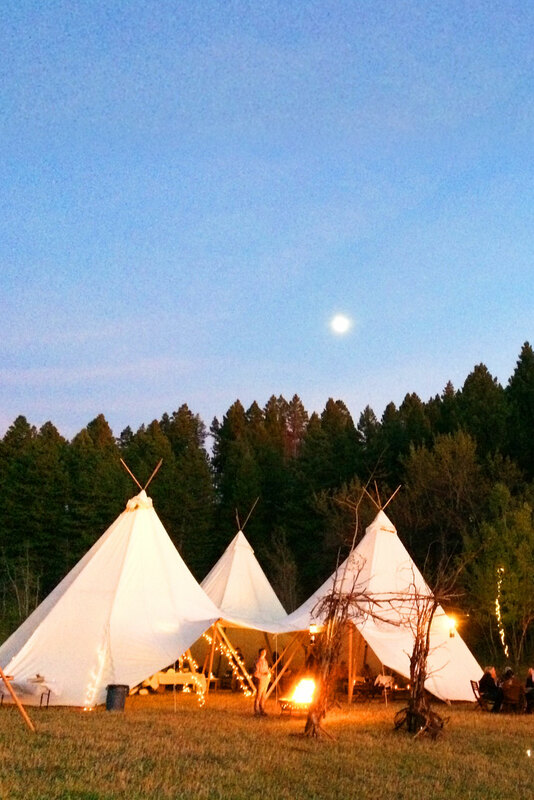 Entirely unique weddings, corporate retreats and private glamping events are our specialty. Make your event a truly stunning and memorable glamping experience for your guests! Has your event grown in scale? Conjoined together multiple TipiMarquis for even larger event spaces. View possible configurations and example floor plans below. Custom large tent rental configurations can seat 500 and have standing space for 800.